May | 2014 | Namaste to you, Sir! Spring is the beginning of a new cycle in nature. 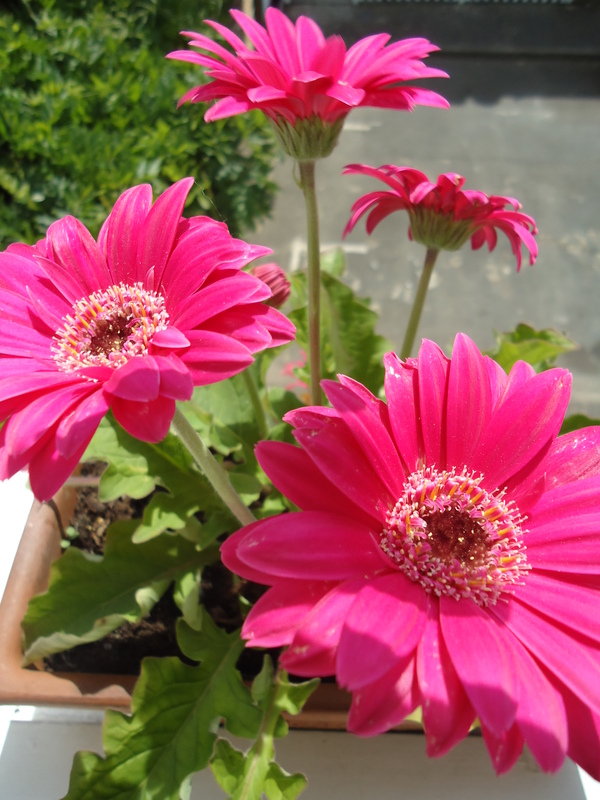 It is therefore a great time to begin projects, take a new job or even replant your garden. The days are longer, more sunshine means more energy for plants and people alike, and we feel renewed, as we look forward to the coming days and the summer, with its picnics, holidays and happy days spend in the sun, the beach or the mountains. To start this new cycle on a clean slate and therefore make the most of it, one of the best things you can do is a Spring Clean. Getting rid of the old is a great way to welcome the new. The space left by the things you throw out because you no longer needed them, will be filled by new things and experiences. don’t be afraid of letting go of things or experiences, there are new and better ones waiting for you around the corner. Great as a Spring Clean is, something which we sometimes overlook but is super helpful, and can be done alongside it, is an Energy Cleanse. Don’t worry, there is nothing strange involved, no need to light candles and sing under the moon naked. Actually, it is a pretty simple thing to do. A lot less tiring than the Spring Clean, that’s for sure, and it can be fun too. Have you ever entered a room and felt it had an oppressive quality? Did you ever walked out of a house with a headache that appeared out of nowhere? Have you ever get the feeling of a “heavy” air in a room or space? Well, if you did, you’ll have no trouble understanding what negative energy is or how it can affect us. Your home is more than just a building, it’s a mirror of your life, your taste, the people you love and the things you hold dear. As we are energy, so is our home: when we fight, stress, worry, are anxious or angry, we generate energy that clings to the walls in our home and to everything around us. It’s a subtle thing, because we cannot see energy, but the longer you experience those feelings, the more negative energy you released into your surroundings. You won’t see this negative energy, but you’ll perceive it. 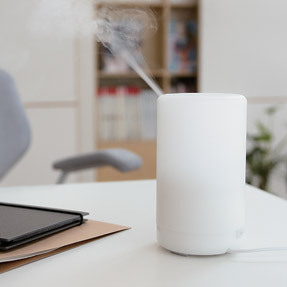 The air might feel stagnant, you will not want to stay in a particular room, or you’ll even avoid, unconsciously, going into a particular area of your home. As time passes and energy flows; here and there the debris of life becomes caught in the nooks and crannies of our rooms. If we don’t take the time to do an energy clean, soon the Chi (vital energy) of our home becomes clogged and stagnant. Feng Shui calls the energy that pervades it all Chi; negative Chi is called Sha Chi, meaning attacking energy or Si Chi meaning low, decaying energy. Energy is meant to be in a constant flow, good and bad energy alike. Positive energy that remains trapped in an area of your house will become stagnant and turn into dying energy while negative energy that is not allowed to flow and join the natural movement of energy towards the outside of your home, will become heavily charged energy that will make you feel tired, drowsy and lacking motivation. It is particularly important to do some cleansing after a big fight, when someone is ill in the family, or in general when you are feeling stressed, over-worked, have difficulty sleeping or feel anxious. Renovating the Chi of your home will gradually bring you back to your centre in a gentle, kind way. There are many ways to carry out the Energy Cleanse, here are some of them, so you can choose the ones you prefer. Whatever you do, have fun! This will be the beginning of a great cycle! 1.- Open curtains and windows: This is the easiest and most basic one. Keep your curtains opened during the day to allow for sunlight to get into your home and close the curtains back after sunset. Your windows should be open in a way that allows the air to flow through all your home. If it’s winter, try ventilating rooms at least once a day. If it’s summer, and safe, open the windows as much as you can to let all the sun in, at least for part of the day. Sunlight, apart from bringing in positive energy, kills bacteria, so it’s a good natural disinfectant. 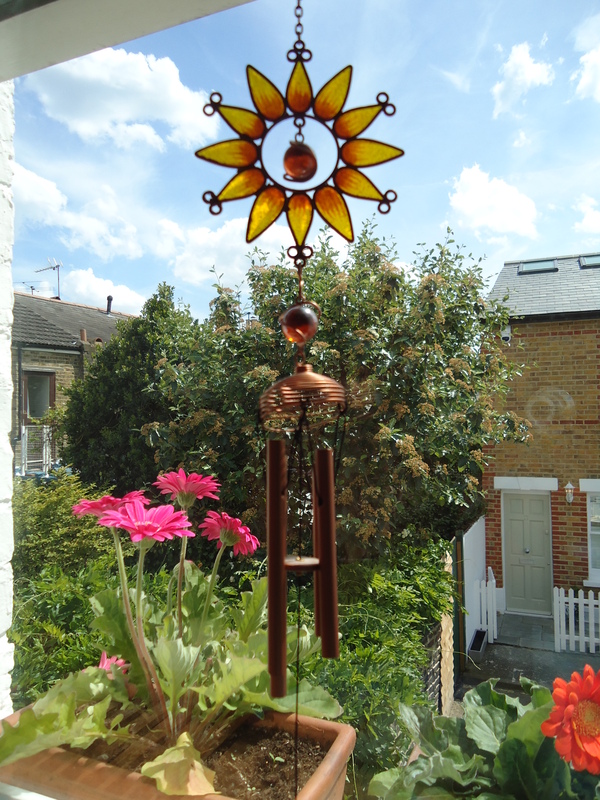 2.- Use wind chimes: You can place them inside or outside your home. They move Chi around every time they sound. Ideally they should be placed where the air can reach them so they can produce their music, but you can also place them in rooms with poor air flow and give them a gentle push whenever you pass them so they will sound. 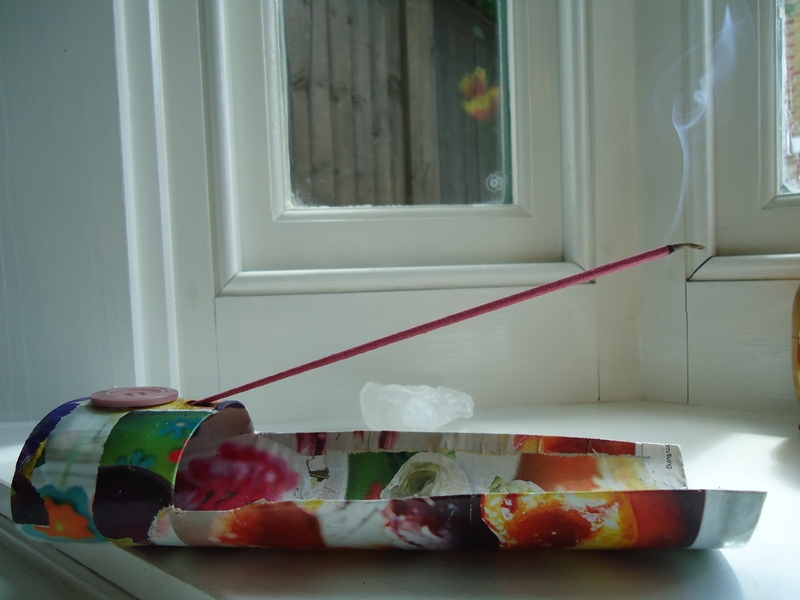 3.- Burn some incense: Sandalwood is the most common fragrance used to clean homes. But sage and lavender aromas are good too, and sage is particularly good at dispelling negative thoughts. Palo Santo, though not an incense, can also be burned for its cleaning and healing properties. Orange, Lemon, Lemongrass: Uplifting, Energizing oils. Mint: Focus (good for studying). 4.- Play some music: Sound moves energy around and has the power of turning negative energy into positive energy. You might have noticed that in yourself, when a song pops in the radio and it makes you feel suddenly happy. Classical music is particularly good for cleansing. Here is Vivaldi’s Spring (very adequate I thought), from the Four Seasons. If you have a favourite song, one that makes you feel full of joy and energy, by all means, go ahead and play it in every room. Join me here on Tuesday for Part 2 of this Post. Have a Great Weekend! Well, here is the answer: Tea Mate! The name comes from the South American beverage “Mate” which is sipped through a bombilla (metal straw) just as this drink. Tea mate does not have yerba as the traditional one, but tea, hence the name. If you want to know more about how to prepare the traditional mate, you can read here. Tea Mate originated in the Argentinian provinces of Corrientes and Entre Rios, I have no idea if it is drank in any other country. So, how do you prepare it and why is it alkaline? It is alkaline because it’s prepared with herbal teas, such as peppermint, chamomile, mint, lemon verbena, pretty much any herbal tea you like. 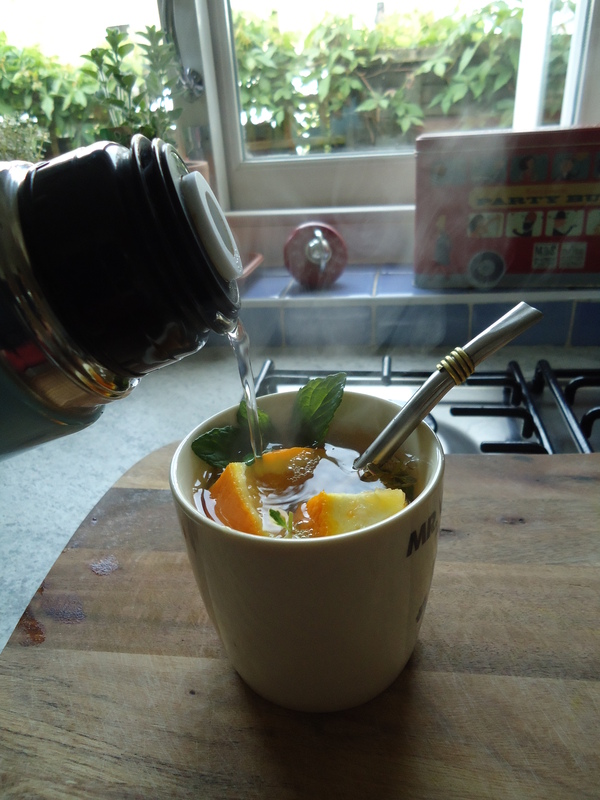 If you are lucky as myself and have your own herbs, you can use them instead of teas or to complement them. You will also need half an orange and half a lemon. Though the orange is acidic because of its sugar content, the lemon will make the drink alkaline. 3 tea bags of assorted flavours or same flavour. Mint leaves, lemon thyme leaves etc. (if using). You’ll also need a flask to keep the water hot, a medium-sized mug and a bombilla (can get one on Amazon for about £5). 1.- Cut the orange and lemon into chunks. 2.- Boil enough water to fill your flask. 3. 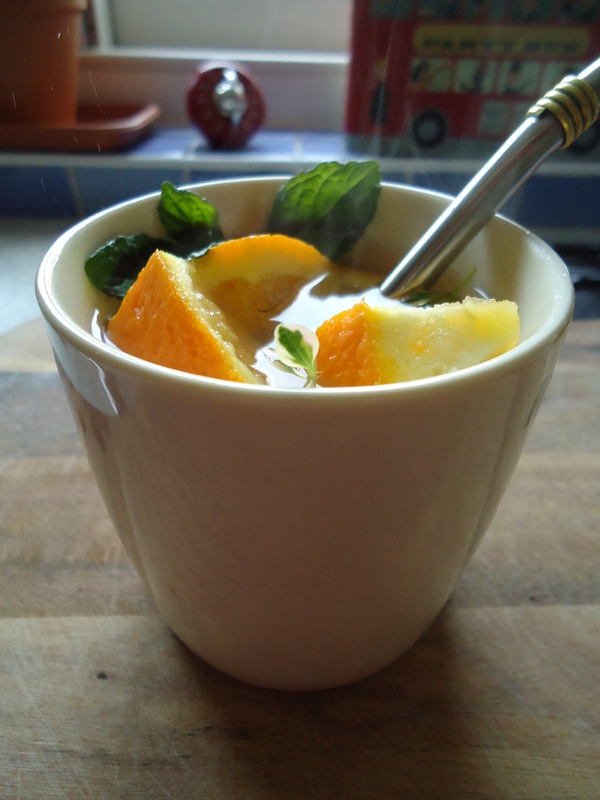 – Place 1 tea bag at the bottom of the mug, then place the bombilla and layer some lemon and orange chunks. 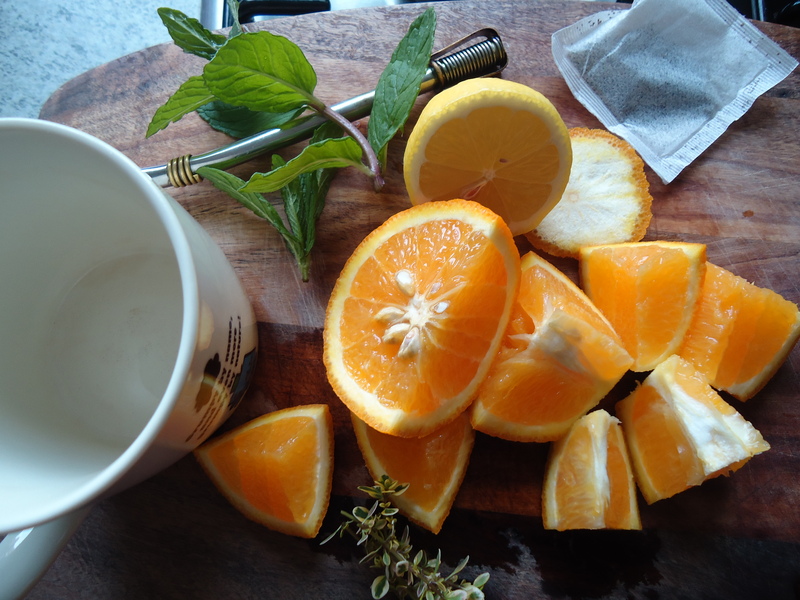 Add the other two tea bags and cover with the remaining orange and lemon. You may find that you have too many slices of orange, it will depend on the size of your mug. Keep them for future mates. 5.- If you don’t care about alkalinity you can add a small amount of honey or sugar. Then pour boiling water until you fill the mug. And voilà! You are ready to go! This is a great drink to keep you company when working, writing or studying. You can keep pouring tea mates until the flavour is gone from your tea bags. 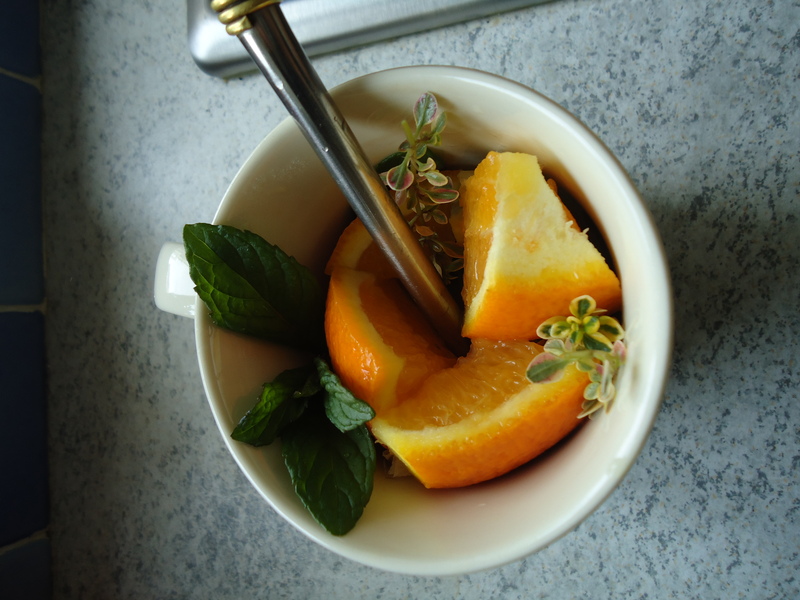 Taste: Depends on which tea you use, but it’s deliciously citrusy, refreshing if you use mint, and warming. I love it!